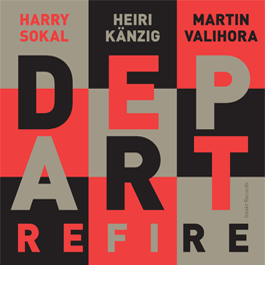 Saxophonist Harry Sokal and double-bass player Heiri Känzig have been the driving force behind the group Depart for a number of years already. Now, with their latest project “refire”, they've set off on fresh adventures towards other shores. 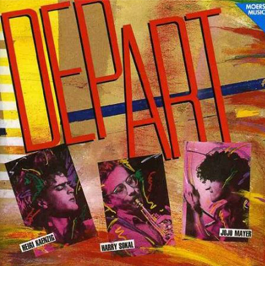 As in the case of Depart, once again they brought the young and powerful rising star on the drums, Martin Valihora, onboard. Together they've embarked on a challenging musical expedition which promises to bring in a new era. The fire is blazing stronger than ever…. Harry Sokal numbers amongst the most important post-Coltrane saxophonists in Europe. 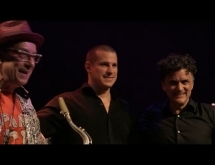 He has worked together with an A-Z of leading jazz artists in Europe and the States, from Art Blakey to Joe Zawinul. His major roles as a founding member of the Vienna Art Orchestra as well as a member of the legendary Art Farmer Quintet make him one of the most important ambassadors of jazz from Austria. He has initiated and led a host of projects around the globe with the jazz elite, in particular his own projects Depart, Full Circle, Roots Ahead, Voice of Time, Stories and freeTenors. His remarkable sound on the saxophone can been heard on more than 500 albums worldwide. 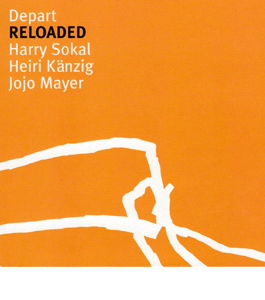 In 2005 Harry Sokal was honored as Musician of the Year with the Hans Koller Prize, and in 2011 with the Prize for Attainment in Music of the Lower Austrian State. 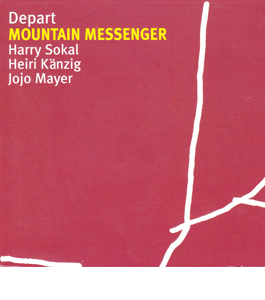 Harry Sokal’s masterful playing is distinguished not just by its virtuosity, but by its lyrical tone and stylistically clear lines, which relate to the character of each number he plays. Theses are the qualities that make him his country's outstanding soloist. Heiri Känzig, born in New York, bassist Heiri Känzig has been a long-term player in the international scene. Already at age 23, he accompanied the great bebop trumpeter Art Farmer and since has played with innumerable illustrious colleagues in Europe and the USA. 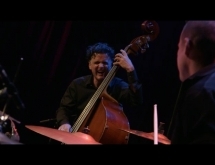 Känzig, who studied in Graz, Vienna and Zurich, has long ranked among Europe's best bassists. He is a virtuoso technician whose sound and comes to the fore in the widest range of contexts ... from jazz and improvisation to World Music. He has received international acclaim as the long-standing bassist of the Vienna Art Orchestra, with which he has played since 1978. In high demand as a freelancer, he has played on over 130 CDs (Blue Note, Verve, Enja...). 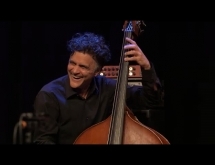 He has regularly toured worldwide with a variety of musicians and, most notably, has played with such musicians as John Scofield, Pierre Favre, Lauren Newton, Charlie Mariano, Kenny Wheeler, Billy Cobham, Billy Hart, Didier Lockwood Betty Carter, Daniel Humair, Andreas Vollenweider, Gary Thomas, George Gruntz, Franco Ambrosetti and Richard Galliano. 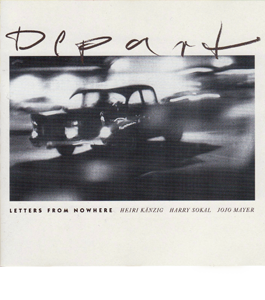 In the early 90s, Heiri Känzig formed his own quartet with Art Lande, Kenny Wheeler and François Laiszeau. Afterwards, he undertook projects with Lauren Newton, Charlie Mariano and Paul Mccandless before joining up as bassist with the Thierry Lang Trio, with whom he recorded his first CD on the Blue Note label. Most recently, he has gained major recognition with his world music project"Tien Shan Schweiz Express", which blends musical elements from Central Asia, Mongolia and Switzerland. Martin Valihora is at the forefront of a new generation of drummers bringing jazz into the 21st century. 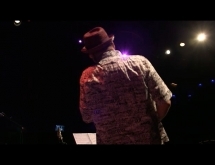 Based on the foundation of his virtuosic but highly personal approach to jazz drumming, Martin’s aesthetic has expanded to include hip hop, funk, new Orleans rhythms, rock and ambient soundscapes.He studied at the Conservatory of Music in Bratislava, Slovakia and finally graduated from Berklee College of Music in Boston. Living in New York he has been working with Don Grusin,Hiromi , Anthony Jackson, Nathan East, Bob James, Lee Ritenour, John Beasley, Reuben Rogers, Chris Cheek, Tony Grey, Greg Hopkins and recorded over 50CD’s for major labels like BMG,Polygram, Universal. 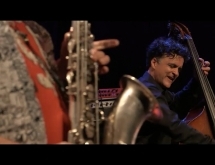 As a member of Hiromi’s sonicbloom he travelled all over the world and participated at all major jazz festivals.